The short answer: No. I’m vertically challenged by normative standards, and the Estonian demographic was a very skewed one–churning out very tall men and women, most of whom were elderly (there were almost no children or adolescents in sight). After my day adventure in Sweden, I headed out to the Copenhagen airport to begin my week-long study tour with my Public Health class in Estonia and Finland. As I mentioned previously, DIS prioritizes real-world experience in the classroom. Thus, every core class spends one week of the semester (during one of three travel breaks throughout the semester) voyaging outside of Denmark, specifically to other European countries, to provide a comparison to the particular field being studied in Denmark. 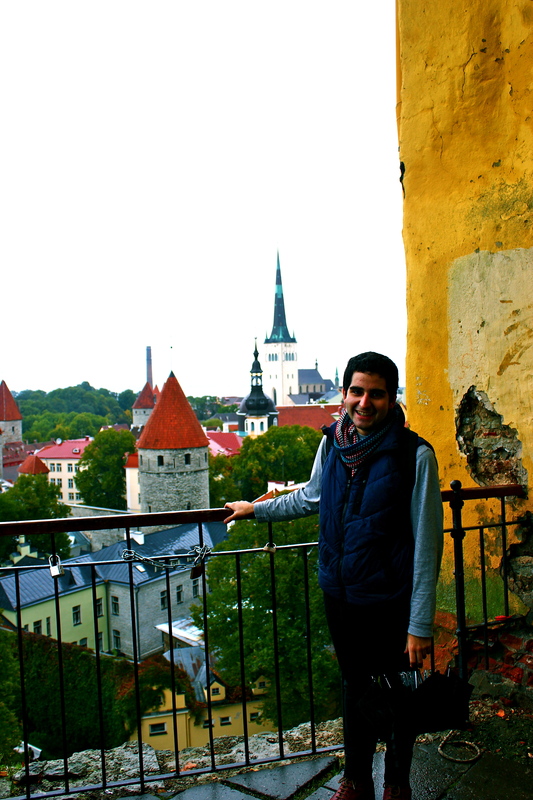 Since my class is called Health Delivery and Prioritization in Northern Europe, our class travelled to Tallinn, Estonia, and Helsinki, Finland, to provide two additional comparisons (and get a real-hands on approach to healthy delivery in these nations) to healthcare in Denmark. I’ve learned throughout my semester abroad that it is best to travel with no expectations, as impossible as that may be–especially when traveling to iconic cities like Paris, London, or Rome. Visiting other places with particular preconceived notions often inhibits us from soaking up the richness of new experiences. Our biases cloud our vision of these new places. We ultimately experience new sites through a particular lens, which can prevent us from becoming the perceptive travelers we strive to be. 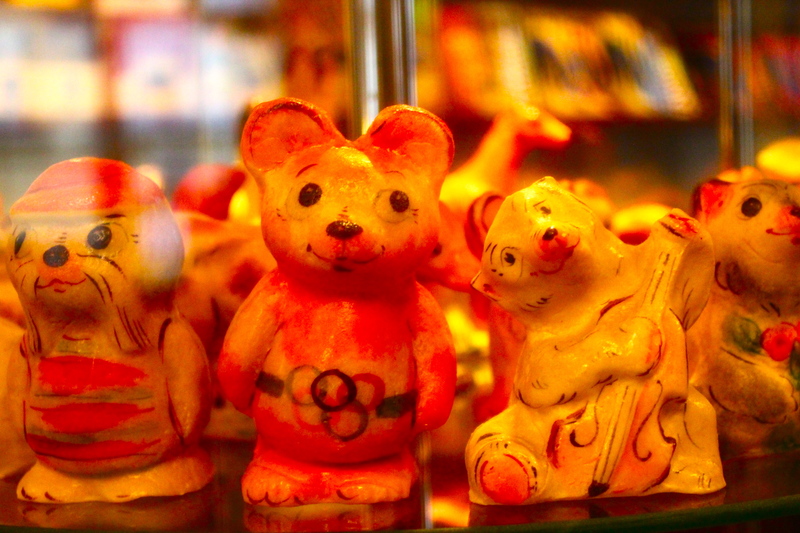 We end up looking for what we know, rather than for something entirely new. 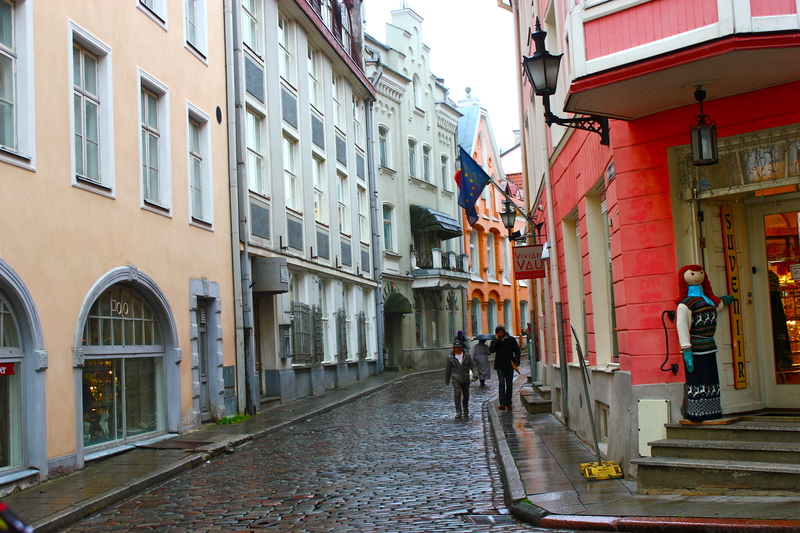 As vague as that sounds, I tried my best to have zero expectations of Tallinn and Helsinki. It helped that I didn’t know much about either place. Our flight landed in Tallinn on a sunny (but cold) day. 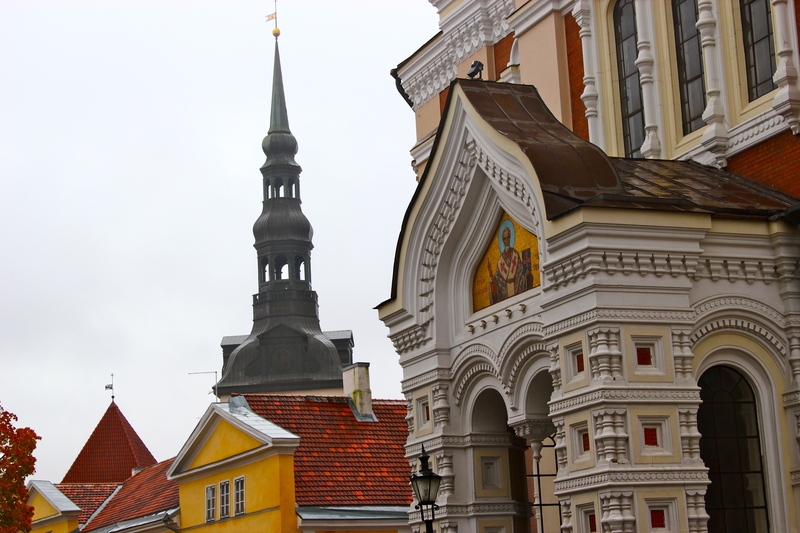 As much as I would’ve appreciated sunny weather in Northern Europe throughout the weak, the tiny glimpse of sunshine we got on that Sunday afternoon in Tallinn was not a proper harbinger for the cold, dark, rainy days ahead. 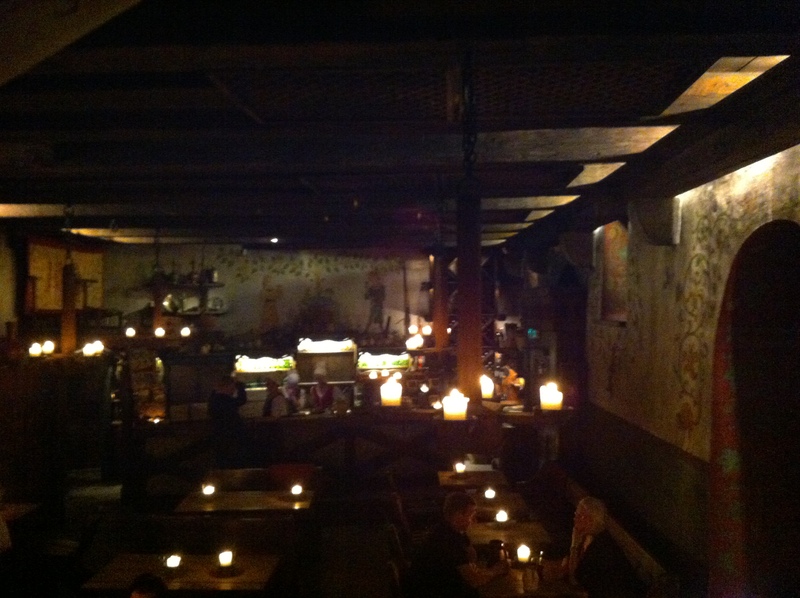 Our first group excursion took place at an all-you-can-eat Medieval restaurant/buffet in Old Town Tallinn. 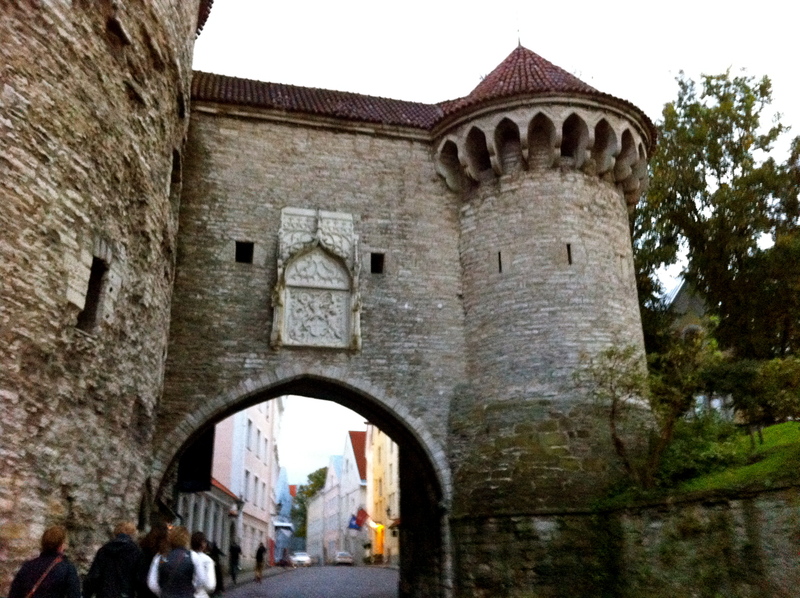 Compared to the rest of the city, Old Town is the Medieval cultural center of Tallinn (built between the 13th and 16th Centuries). 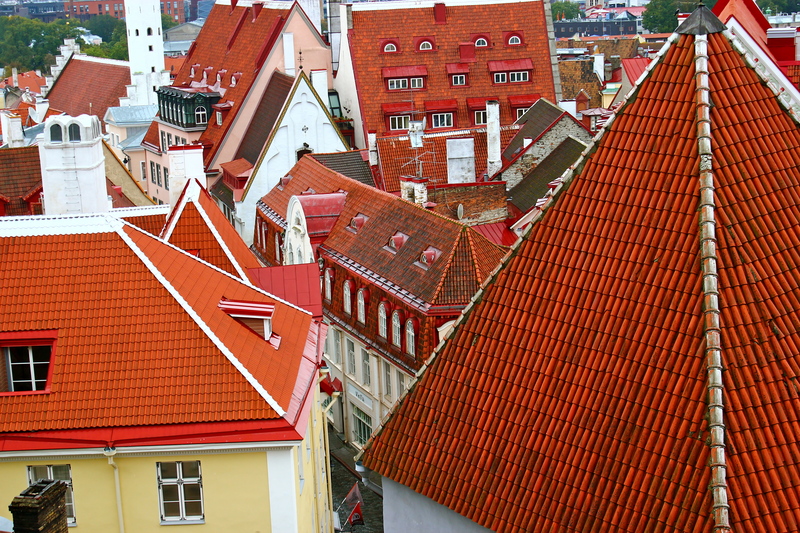 A UNESCO-preserved heritage site with fairytale charm, Old Town accurately represents the various European colonizing influences in Estonia’s history. 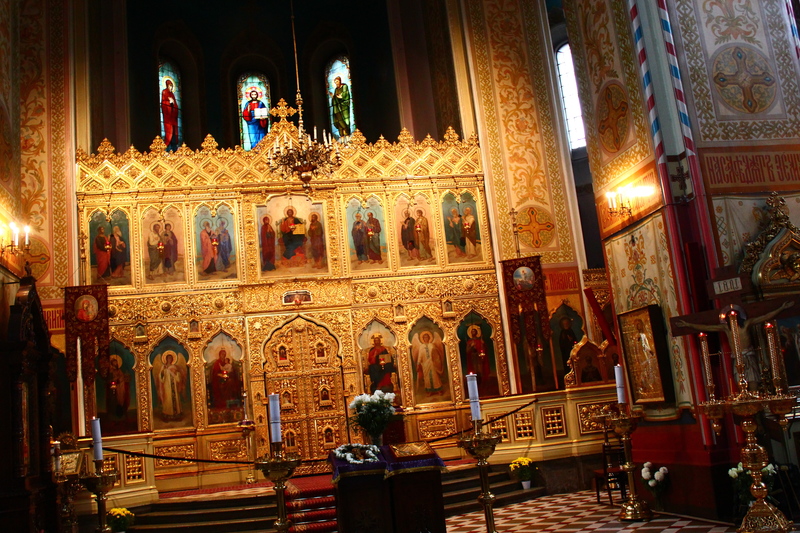 From the Danish King’s Gardens, to the Gothic architecture, and finally to the Russian Orthodox Churches, various European influences were epitomized by the sites and atmosphere of Old Town. 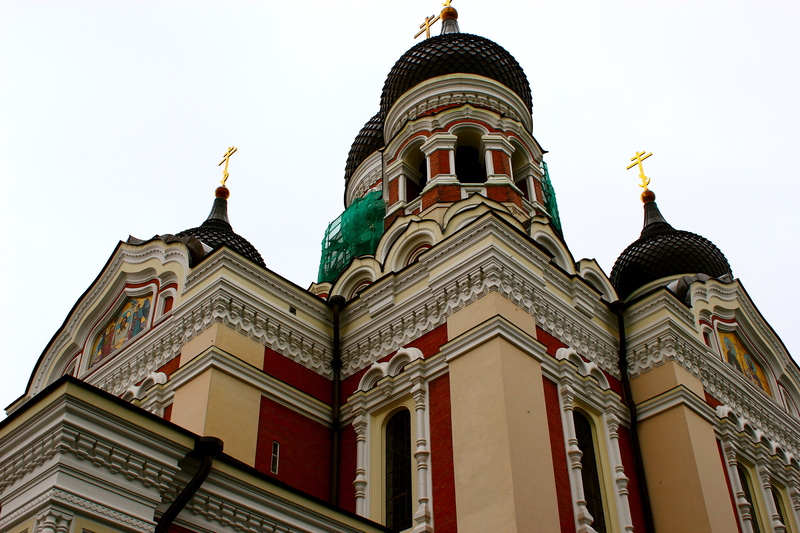 It was definitely reassuring to have our first glimpse of Tallinn be Old Town, since all we saw on our drive from the airport to the hotel were dull, Soviet-style buildings scattered amongst some ultra-modern architecture. 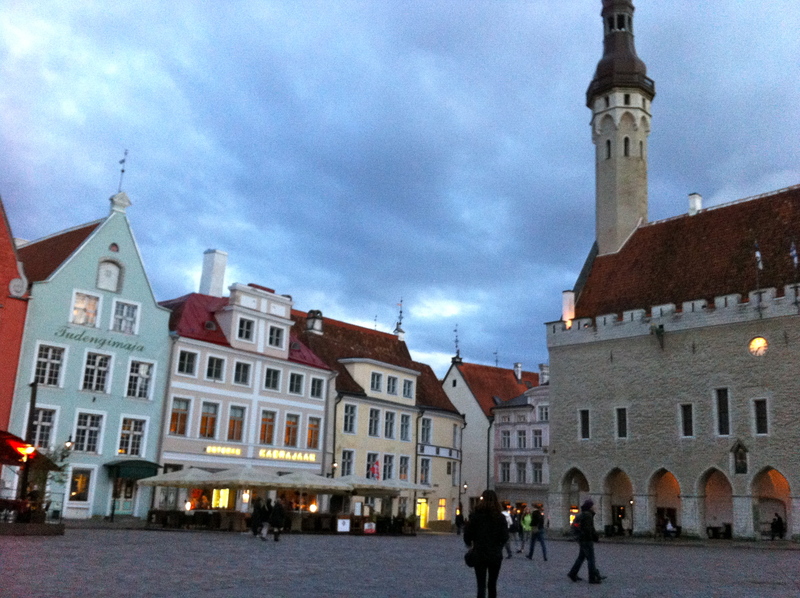 It’s always interesting to look at the city of Tallinn and remember that Estonia only gained its independence from the Soviet Union 20 years ago (it’s actually amazing to think about how much Estonia has developed since it claimed national sovereignty in 1991). After our delicious Medieval-themed buffet (complete with waiters in costumes, themed dishes and silverware, and traditional Estonian food), I met up with some friends from my class for a night out in Old Town. We ended up spending the rest of the evening at the oldest bar in Estonia, Hell Hunt. It definitely had a very local vibe, and we really only ended up at this bar because our professor had (incorrectly) informed us that it was a karaoke bar. Regardless of the misunderstanding, Hell Hunt was a great bar to lounge around with friends for a casual, low-key evening. 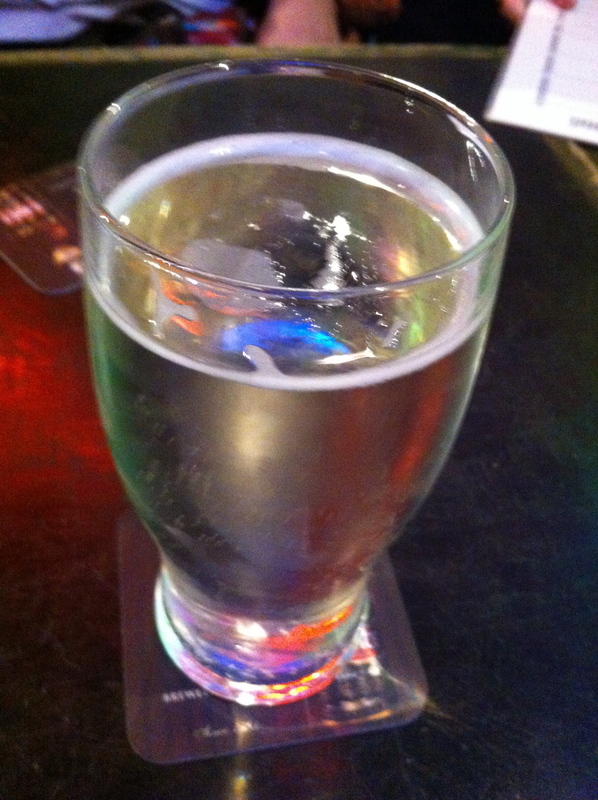 Drinks and munchies were incredibly cheap, thanks to the great exchange rate. 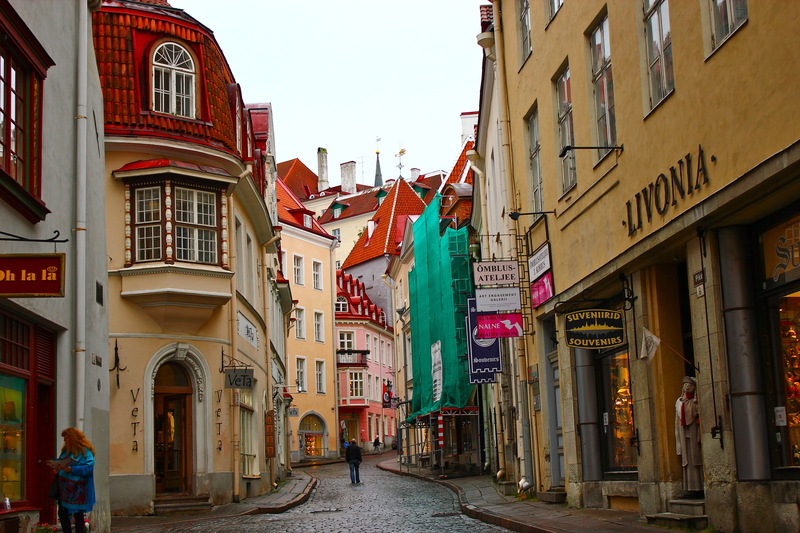 Although Estonia is on the Euro (a stronger currency than the U.S. Dollar), everything in Estonia was much cheaper than in the rest of Europe. And this was definitely something worth taking advantage of (I ended up doing a ton of Christmas shopping while in Estonia) because the word “cheap” does not exist in this continent. Getting a walking tour of Old Town on our second day of the trip from a knowledgable local was additionally unforgettable. Aino, the name of our guide (pronounced “I know,” like the English phrase), provided hilarious commentary to the sites we saw in Tallinn. 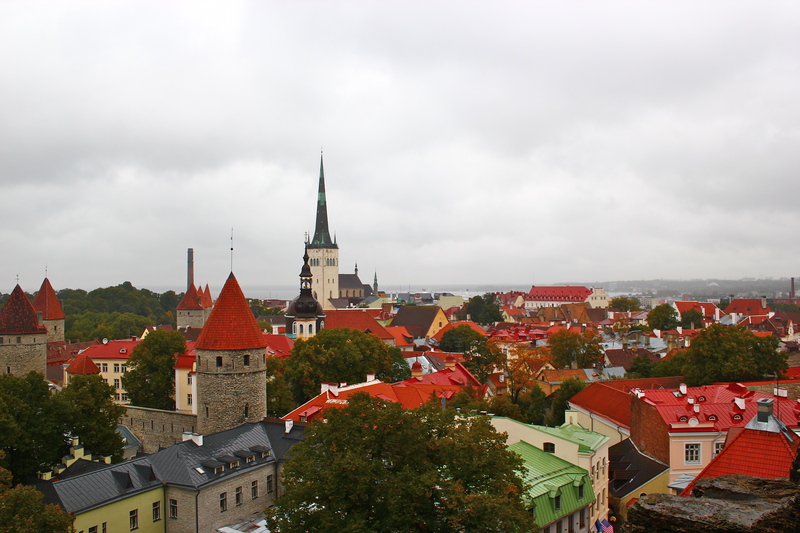 Most memorable was Aino’s claim that everything in Tallinn is haunted–including the chestnuts Estonians traditionally roast around the holiday season. 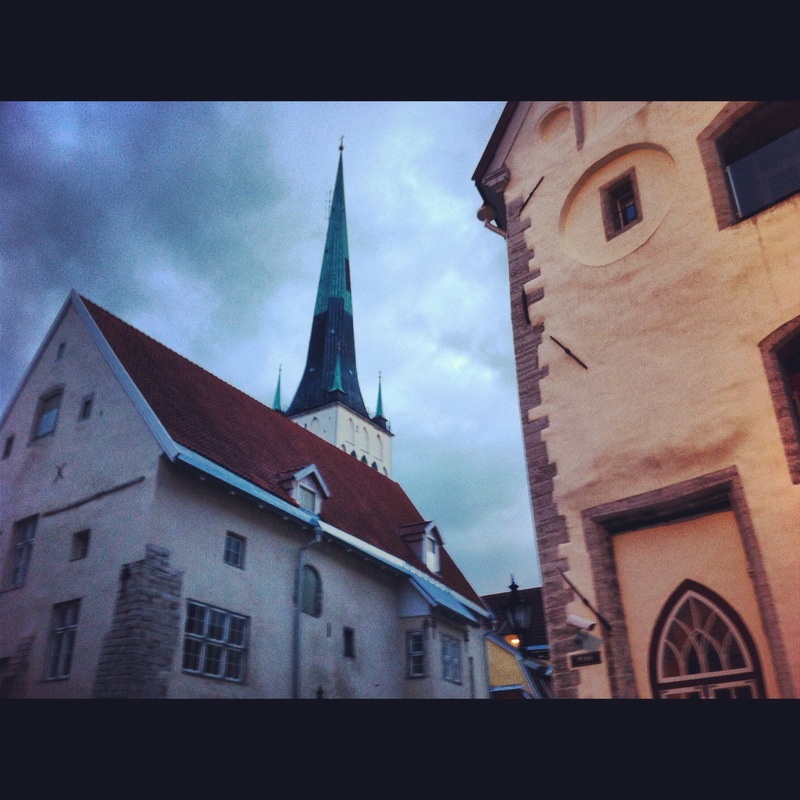 Come to think of it, Aino’s pronunciation of the word “haunted” (she literally would point at things on the street and say, “This place…HANNN-TED”) made the walking tour worth venturing throughout Tallinn in the cold rain. We even got to see two observatories that overlooked the entire city, a great spot for photo opportunities. 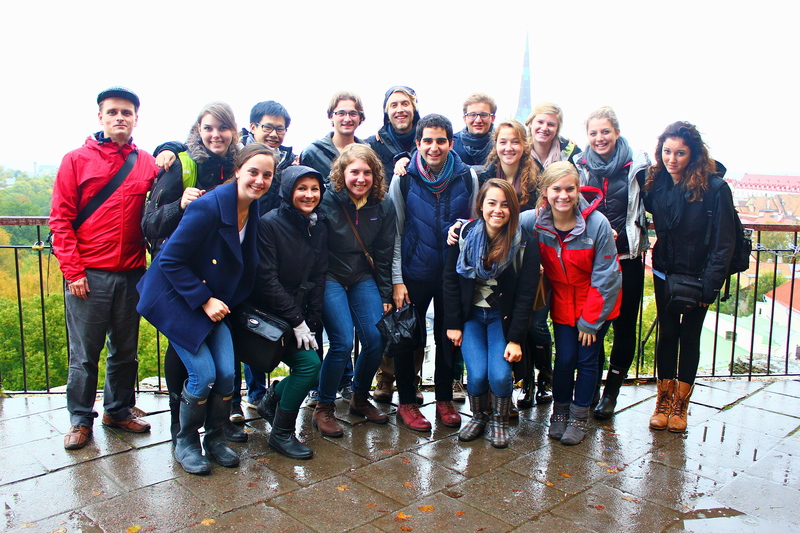 However, these cultural encounters were secondary to the institutional visits we attended with our Public Health class. Our class visited a health center in the Tallinn suburbs, a sexual health clinic, and the Estonian Health Insurance Fund. Though the presentations were not nearly as exciting as some of the ones we attended in Western Denmark during our short study tour, the visits were incredibly enlightening in that they provided clear pictures of health delivery in this former Soviet state. Estonia, despite the aging demographic, high HIV/AIDS & TB rates, and debilitating IV drug/alcohol abuse among adolescents, has experienced significant economic growth during its 20 years of independence. 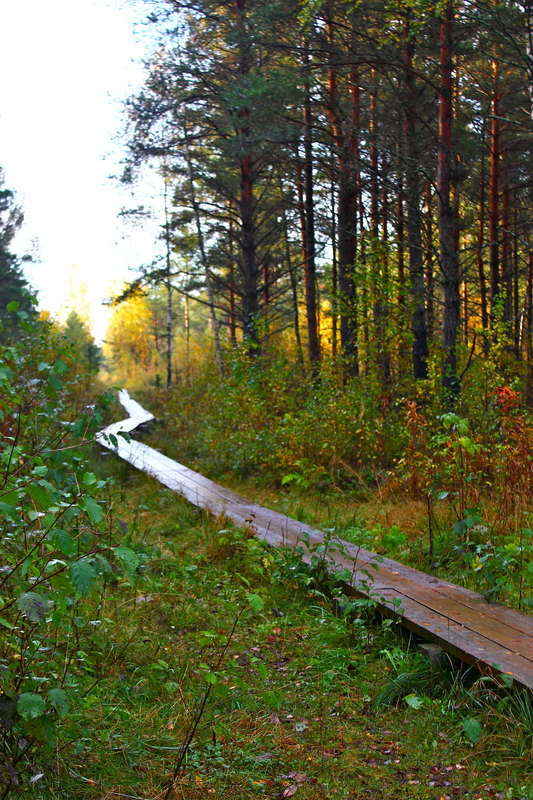 Though some visitors may leave Estonia seeing it as struggling post-Communist state, it was almost impossible to ignore the amount of development it has experienced in such a short time–managing to have one of the highest GDP growth rates in the European Union. Merely recognizing that it has developed its economy after inheriting a fragmented Soviet economic system and has democratized so quickly should make people optimistic of Estonia’s future development. Next stop, Finland (via a very nice ferry ride on the Baltic with an all-you-can-eat buffet)!